What Is Busses For Christ? Busses For Christ founded by Greg Montoya provides bibles, food, clothing, blankets and support reference lists to the homeless community. 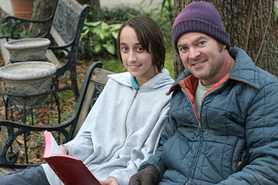 Most importantly, BFC helps the homeless understand the God-given purpose for their lives through Jesus Christ. 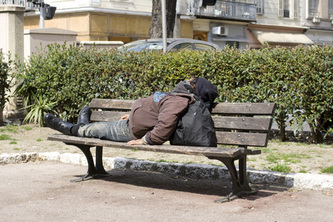 Greg Montoya is passionate about helping the homeless help themselves. 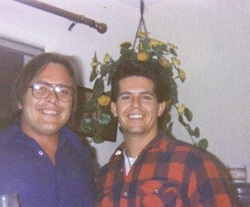 Years ago, due to unfortunate circumstances, Greg's older brother Phillip became homeless. Life on the streets took its toll on Phillip and eventually cost him his life. Phillip deeply loved the Lord and because of this Greg believes he is now with Jesus. Seeing the hardship that Phillip went through while living on the streets fostered Greg's passion to begin helping the homeless get back on their feet, not just with food, clothing, and other living essentials, but most importantly by helping them understand the God-given purpose for their lives through Jesus Christ. This BFC ministry started in 2011 when Greg began meeting with the homeless at a local San Diego beach. Greg Montoya now regularly meets with the homeless community to minister to them as well as bring clothing, bedding and other supplies. Greg's goal is to raise funds to purchase multiple busses for the ministry in order to further the mission of bringing hope to the homeless along the California coast. BFC is also a supporter of homeless shelters and missionary groups that travel the world spreading the good news of Jesus Christ. All donations to BFC (including supplies) are tax deductible. Please provide a mailing address or email address so we can send you a receipt for tax purposes. Note: If donating supplies, please include the value so we can include it on your receipt.